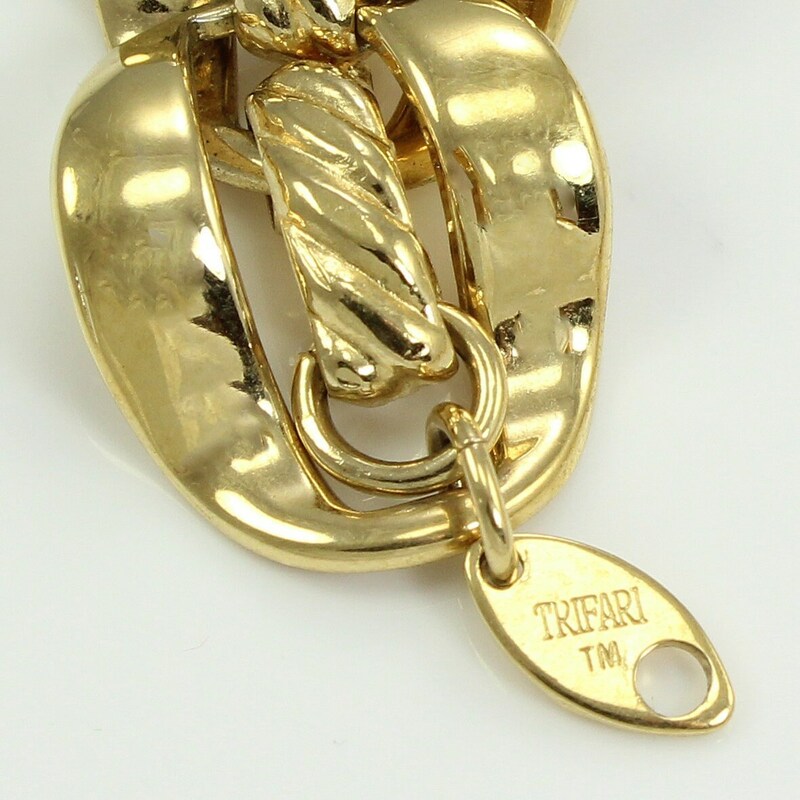 Vintage Signed Trifari Gold Tone Collar Necklace. 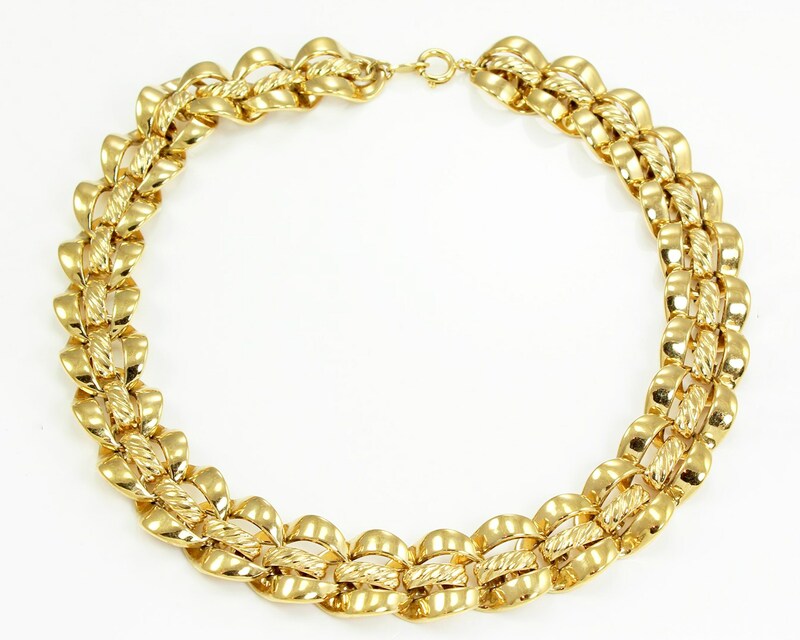 Perfect bold piece that is claassic enough for office or evening wear. 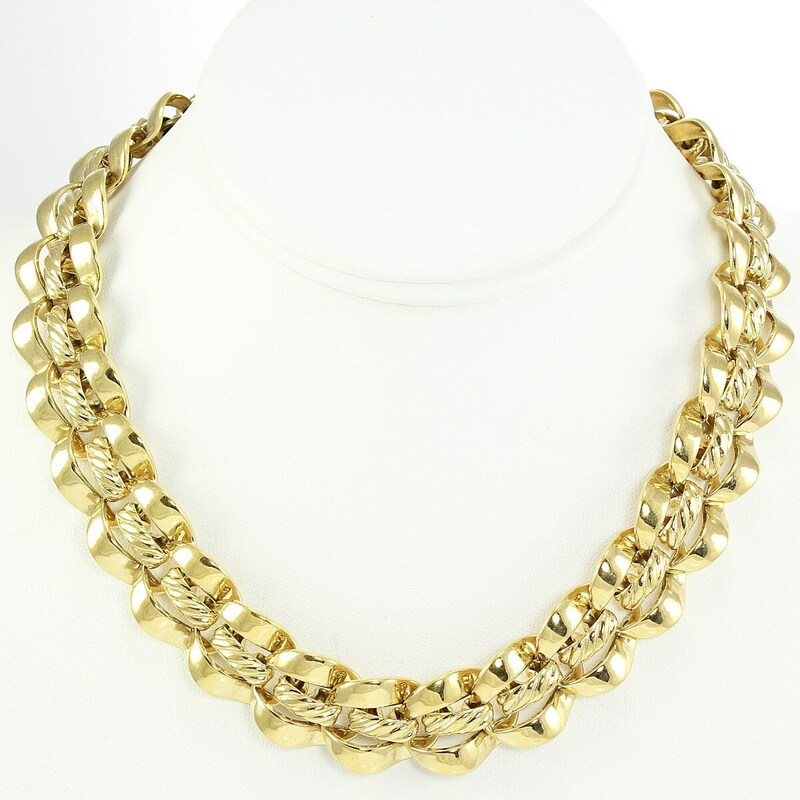 The piece is composed of polished goldtone chain links joined by twist-textured central rectangles. CONDITION: The piece is in very good vintage condition.